Kansas drivers are responsible for parking properly and abiding by the laws. They also need to ensure that their vehicle does not become a hazard when it is parked. There are a number of laws in the state that dictate where you are able to park. However, the cities and towns may have their own additional laws that you will have to follow as well. Failure to follow the law could result in getting a ticket and a fine, as well as potentially having your vehicle towed. Always park in designated areas, and if you have to park along the roadway due to an emergency, for example, you need to make sure you pull your vehicle as far off the road as possible. It is important to keep in mind that there are many places where you will not be able to park your vehicle under any circumstances. Drivers in Kansas are not allowed to park in an intersection or within a pedestrian crosswalk at an intersection. It is also illegal to park in front of a driveway. In addition to facing fines and possibly having the vehicle towed away, this is an inconvenience for the person who owns the driveway. Part of responsible parking is being courteous. If the street is narrow, you are not allowed to park on the side of the road if doing so would interfere with the flow of traffic. In addition, double parking, sometimes called parking two deep, is illegal. This would cause the travelable portion of the road to be narrower and would disrupt traffic, and it is therefore illegal. You must not park on bridges or other elevated structures (such as overpasses) on a highway, or in a tunnel. Drivers cannot park within 30 feet from the ends of a safety zone. You cannot park on railroad tracks, in medians or crossovers, or on controlled access roads. It is illegal to park within 15 feet of a fire hydrant or within 30 feet of a crosswalk at an intersection. You cannot park within 30 feet of a traffic signal or stop sign either. You need to make sure that you are not parked within 20 feet of a fire station, or 75 feet if it is posted by the fire department. Parking spots designated for people with disabilities are only to be used by those who have special license plates or placards. 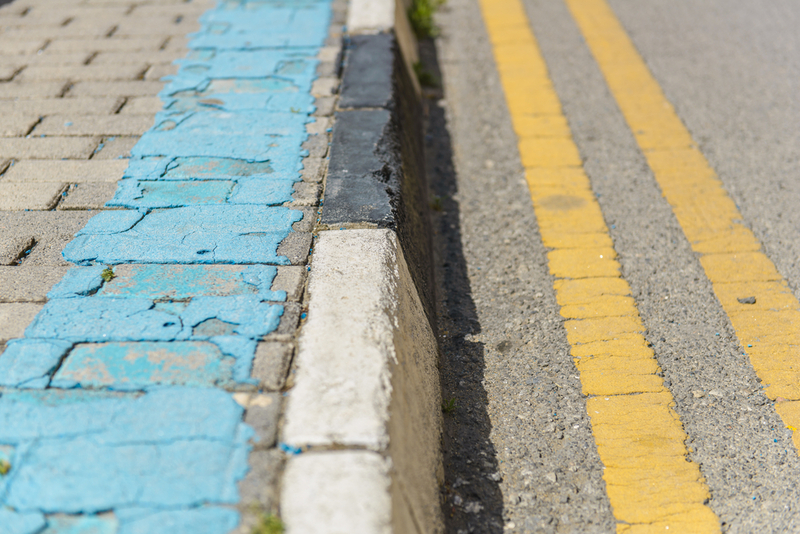 If you park in one of these spots, usually designated with blue paint as well as signs, and you do not have the special plates or placard, you could be fined and potentially towed. It is very important that you always take the time to check to look for signs, as they may designate an area as being off limits for parking, even though it might otherwise appear as though you could park there. Follow the guidelines on the official signs, so you do not run the risk of getting a ticket.